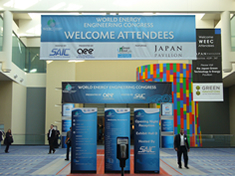 We exhibited it in JETRO Japan pavilion, which was added to WEEC(World Energy Engineering Congress), and introduced outline of JASE-W and "Japanese state-of-the-art Smart Energy Products & Technologies". For the green new dealism which President Obama advocates, the interest of people about environment, energy saving, the new energy products were high,and business talks were performed lively. The first participation this time. It exhibits as JASE-W/ECCJ. 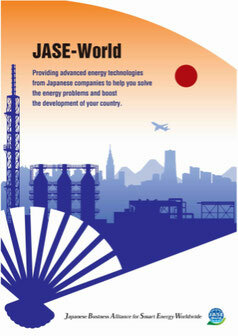 It introduced the outline, the content of the activity, and "Japanese state-of-the-art Smart Energy Products & Technologies" of JASE-W.